Every designer crab cake store would display these tasty crab cakes in their window and chefs far and wide would make them the special of the day. These crab cakes ARE that good! When you add something that is so mouth-watering, delicious and rich and pair it with an unforgettable sauce you can’t help but to make sweet, sweet crab cake babies. “It’s like the crab and sauce were married and had the ceremony in my mouth,” is what you might hear when you serve these for dinner. We use the less is more approach when concocting these cakes. Meaning, there isn’t a whole lot of filler. Mix the egg and milk together in a small bowl. In a separate large bowl, mix the onions, scallions, cilantro, Old Bay seasoning and mustard. Stir in the crackers. Add the egg and milk mixture. 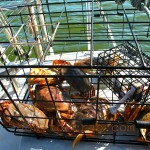 Gently fold in the crab meat taking extra care not to break up the crab lumps. Cover and refrigerate for 1 hour. Mold the mixture into 8 equal cakes and place them on a baking dish. Chill, again, for half an hour. In a large heavy frying pan heat the oil and butter over medium high heat. 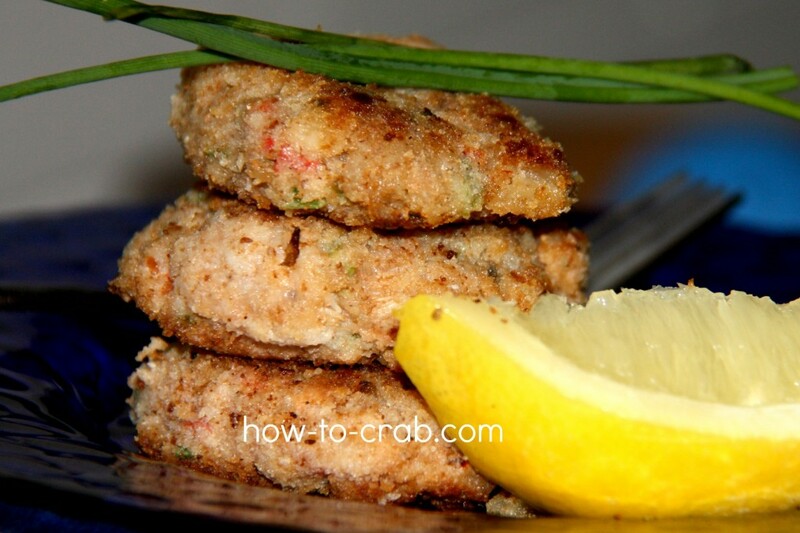 Lightly dust the crab cakes with flour and place them in the frying pan. Cook on each side for four minutes or until golden brown.